Allscripts announces Q1 results: revenue up 24 percent, adjusted EPS $0.16 vs $0.17. CEO Paul Black says the company is looking forward to integrating Practice Fusion, McKesson’s Enterprise Information Solutions business, and Change Healthcare Homecare’s solutions – via Netsmart – into its portfolio. The Chicago-based company will expand its FollowMyHealth patient engagement offering with the acquisition of patient engagement and CRM company HealthGrid for $60 million. 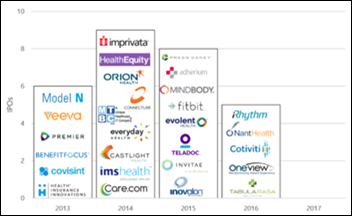 HealthGrid co-founders Raj and Charkri Toleti headed up patient self-service kiosk startup Galvanon until its acquisition by NCR in 2005. From mike: “Re: The Lockhorns. This comic in my analog copy of the newspaper on Wednesday caught my eye; first because of the doctor’s head mirror; but especially the "H Blog" on the wall … could this be a direct reference to HIStalk? Hmmm.” It’s certainly fun to think so, though it may be some sort of homage to a Harold Blog, MD a New York-based internist who passed away several years ago. 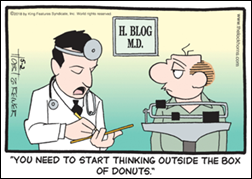 H. Blog MD appears in several of the comics. From Associate CIO: “Re: Trinity Health’s move to Epic. This is rather stunning as they had been in the process of rolling out Cerner to the remainder of their hospitals as late as last year…. Cerner seems to be lost after the passing of Neil …” In announcing the move, the Michigan-based health system added it will train 100,000 employees on the new software. Island Hospital (WA) goes live on Meditech Expanse with help from hosting partner Engage. Meditech promotes Geoff Smith to VP, product development. Beth Israel Deaconess Medical Center (MA) taps CIO John Halamka, MD to lead its new Health Technology Exploration Center, which will explore the role of emerging technologies like blockchain and IoT in healthcare delivery. Data analytics vendor Health Catalyst acquires HIE vendor Medicity – both based in Salt Lake City – for an undisclosed price. 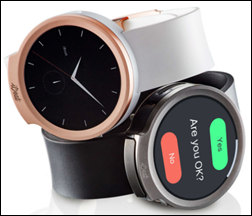 Heart monitor smartwatch company IBeat raises $5.5 million in seed funding, bringing its total funding to $10 million. Launched by Practice Fusion founder and former CEO Ryan Howard in 2016, the startup will use the investment to prepare for initial shipments of its Heart Watch this summer. Surgery coordination software vendor Casetabs secures $6 million in a Series A funding round led by Nueterra Capital. Doc Halo rebrands to Halo Communications. HGP publishes a refreshingly concise look back at the public market health IT landscape, noting that the number of publicly-listed companies is decreasing while IPOs are outpaced by privatizations and acquisitions. Cerner shares drop after the company reports lower than forecasted Q1 revenue of $1.29 billion, and a $13 million decline in net earnings so far this year. President Zane Burke attributed the decline to “the delay of a large contract,” referring to the $16 billion VA contract that has yet to come through the pipeline. “We still expect to sign the contract,” he clarified, adding that it will now likely be signed in the second half of the year. McLaren Health Care (MI) will implement PerfectServe’s clinical communication and collaboration software across 20 locations including 14 hospitals. WakeMed Health & Hospitals (NC) selects analytics, supply chain services, and performance improvement tools from Premier. Mayo Regional Hospital (ME) will transition from three different EHRs to Cerner Millenium in January 2019. Florida Hospital notifies an undisclosed number of patients about malware on three of its websites – FloridaBariatric.com, FHOrthoInstitute.com and FHExecutiveHealth.com – that may have compromised some patient information. A report from Protenus and DataBreaches.net finds that 110 health data breaches occurred in the first quarter of 2018, impacting 1,129,744 patient records. The analysis also found that it took healthcare organizations an average of 244 days to detect a breach. A new patient payment study from Waystar finds that nearly 100 percent of the 900 hospital executives surveyed report billing patients with paper statements, and yet half of the 1,000 patients surveyed would prefer an electronic billing option. 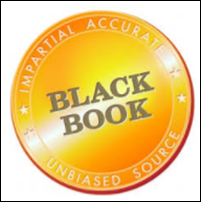 Hospital networks with integrated technology products report higher user utilization and product satisfaction rates than those that use different EHR and RCM systems, according to new research from Black Book. Top-rated health IT vendors included Allscripts, Meditech, Cerner, McKesson, Epic, and CPSI. Of the 490 hospitals surveyed, a majority of those under 150 beds who haven’t yet settled on an single-source vendor plan to do so by the end of the year. 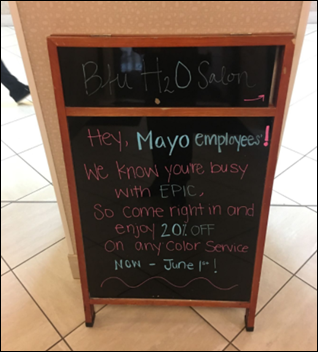 A hair salon near the Mayo Clinic in Rochester, MN wants to help staffers look their best for this weekend’s Epic go-live. Ellkay hosts a rappelling event at its office to raise $70,000 for the autism-focused Alpine Learning Group. EClinicalWorks will exhibit at the 2018 UCAOA Urgent Care Convention & Expo May 6-8 in Las Vegas. Change Healthcare updates its Acuity Revenue Cycle Analytics to include front-end patient access analytics. Formativ Health will exhibit at HLTH 2018 May 6-9 in Las Vegas. Healthfinch will exhibit at the National Physicians Conference May 10-12 in Fort Lauderdale, FL. Healthwise will exhibit at the EClinicalWorks Health Center Summit May 9-11 in Orlando. Iatric Systems will exhibit at ANIA 2018 May 10-12 in Orlando. Loyale Healthcare adds patient financing solutions from ClearBalance to its Patient Financial Management software. Imprivata exhibits at NAHAM May 3-6 in Denver. Owler names Pivot Point Consulting Managing Partner Rachel Murano one of the top 10 female leaders of private companies. Intelligent Medical Objects will exhibit at the AMIA Clinical Informatics Conference May 8-10 in Scottsdale, AZ. Surprised Cerner didn’t mention the revenue opportunities for its new lawsuit division. U of Illinois is in the pipeline, Trinity is a huge opportunity, and the VA is clearly not living up to the promises it made to Cerner. The thing that jumped out to me in the announcement from Trinity was the part about the Revenue Cycle System being mentioned specifically in the first sentence. Rev Cycle has always been a weak spot for Cerner. Wasn’t that part of the reason they acquired Siemens? It’s been over 3 years since that acquisition was completed and the news is littered with stories of rev cycle issues in new Cerner installs and migrations from Siemens. It is common knowledge that Trinity was looking deeply elsewhere for a solution to their issues here for over a year. It’s pretty obvious if they felt they could have made something work and kept the Cerner clinicals they would have done so given how entrenched they are in the Trinity facilities (Close to 50 facilities?) in the mid west. That is a lot of investment to throw away and a lot of conversions to pay for. Not to split hairs, but the Trinity I believe you are referring to is the Trinity in Minot, ND. They are not related systems. That doesn’t mean Cerner Millennium Revenue Cycle doesn’t have its issues, but they are two separate Health Systems. They absolutely seem lost since Neil died. It looks like no one wants to make decisions or set a direction. I was hoping the new CEO would step in and set a new direction, but that doesn’t seem to be, at the moment. The Siemens acquisition was interesting. They were basically buying market share and being the low cost ($1B being low, all things considering) they have basically made their money back. However, what they have done with Financials is baffling to me. One would have thought they would have taken the good parts of Soarian Financials and what little good parts there are with Millennium and create a new product. Yet, they have kept both lines and are still selling both financial systems. I mean, 3 years seems to be plenty of time to architect a new Revenue Cycle platform considering their resources…. The UIC issue you have to take as an outlier. Yes, Cerner pursued legal action but the fact remains, they are actually right in this context, whether we like it or not. Was the procurement process followed, NO. It is very clear, especially when Impact Advisers put in writing that they would ONLY bid on Epic work, should Epic win the bid. That is a clear conflict of interest, any way you slice it, and thus, violated the procurement process the state of Illinois has. Not to mention, Epic Implementation costs were NOT in the final bid, which again, was a requirement of the RFP. You may hate Cerner, and fine whatever, to each his own, but the FACTS are that there were violations of State Procurement and thus the selection process has to happen all over again. Epic probably still wins and the outcome is the same, but that isn’t the point. If anything, this is almost more on Impact than it is UIC. I mean, really, when you are doing a vendor selection, you NEVER state that you would ONLY support one vendor over the other. You have to stay neutral through the whole process. Wow. Rejected by two customers named Trinity and one named UIC. And many, many more as well. What could it be but fraud? Give me a break. Cerner shouldn’t be paying you to write blog posts. Also, saying they won’t bid isn’t a violation at all. To be logical your implication is that UIC loved Impact Advisors soooo much they’d only select the software that Impact would work on? Makes no sense. Back in spring 2017 UIC had a meeting with vendors to kickoff the procurement process. I was there with my company and Cerner people were in the room as well. Impact Advisors was introduced to all as the group that would be helping UIC. No one objected, including Cerner. Then many months later when Cerner finds out that they lost the bid to Epic, suddenly it is all about a conflict of interest with Impact Advisors. The more likely explanation is that this is just about sour grapes. Time to look for another reason for why Cerner lost. I got one – maybe UIC also figured out that the Cerner Revenue Cycle is not good. Agree, Abe. Cerner revenue cycle offerings have matured over the last decade from excellent vaporware to poor actual-released-software.